Welcome to my world. Please stay for a while and enjoy my site,I have many things to show you, My Poems I have written and tags I have made using paint shop pro9 (psp9) My blinkies I have collected and many more things. I do hope you will enjoy your stay here. Here is a little bit about me. 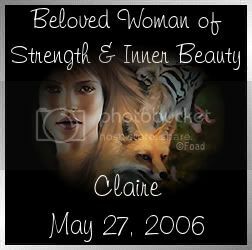 My name is Claire Louise Slack. I'm married to Paul,and we have a son whose name is Brodey Walter Slack. My husband and my son are every thing to me,they are my world and with out them I would be lost forever. 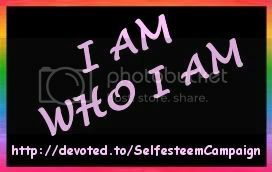 Click on the below graphic to learn more about me. Click on the below picture to read my poems. Click on the below blinkie to go to my page of special things close and dear to my heart. 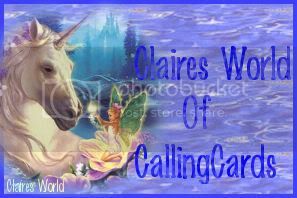 Click On the calling card below to go to my page of free calling cards for you. Please Click the below tag to go to my tags page. Please Click on the below blinkie to go to my blinkie page. Click the fae picture below to pay a visit to the page of adoptions I have collected. Please sign my guestbook as I would love to read your comments.Many thanks. Click on the links button to view/add links. 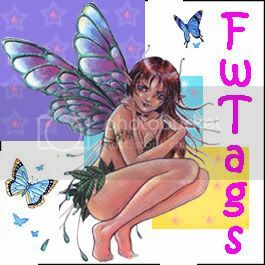 Please join my MSN group FWTags,where you get to request sigtags,or even get to put your sigtags that you have made up for requests. 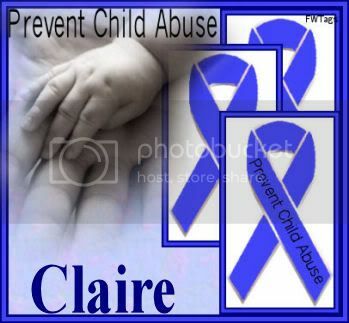 The above banner was made by Nia Guffie,A member of FWTags,Winner of the FWTags design a banner competition.... Well done hun,you made a great effort.